Various manoeuvres are afoot behind the scenes in the UK parliament to alter the course of Brexit, ahead of Tuesday’s crucial vote on the deal negotiated between Theresa May’s government and the EU. Amid fierce hostility to the deal from all sides in the House of Commons — particularly on the Northern Irish backstop — the vote is widely expected to be lost, possibly by a high margin. But the stakes couldn’t be higher, as the default setting for the UK’s departure, should the negotiated agreement fall by the wayside is a “no deal” scenario after 29 March. A large majority of parliamentarians are against the UK leaving the EU without a ratified agreement but amid a growing power struggle with the government, they have so far failed to unite behind any particular alternative. A number of amendments have been tabled affecting Tuesday’s vote. House Speaker John Bercow selected four of the amendments and rejected two of them ahead of the vote. The first amendment which will be discussed will be from opposition leader Jeremy Corbyn. The official Labour opposition amendment also rejects both the deal and “no deal”, saying the House will “pursue every option” to prevent either scenario. Scottish National Party MP Ian Blackford's amendment will then be put to a vote, followed by Leigh's amendment and then finally Baron's amendment. The latter two specifically deal with the issue of the Irish backstop. 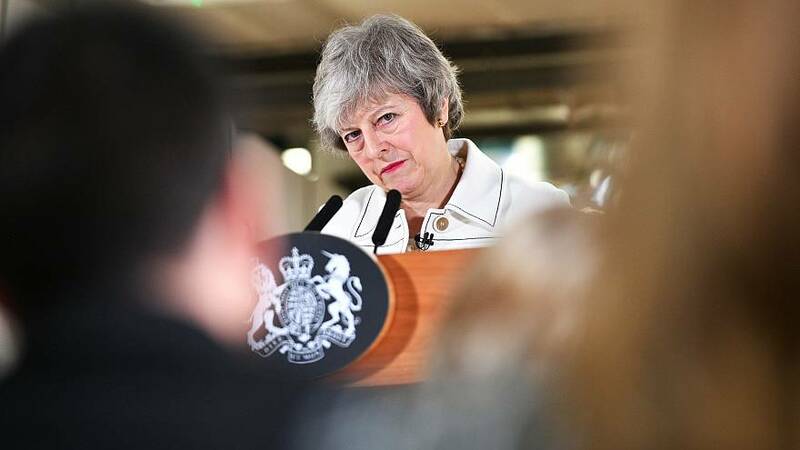 Those that were rejected included an amendment that would have enabled the government to present the EU with an ultimatum and two others that the government said it would support. There will also be no vote on a Liberal Democrat amendment that would have voted on a second referendum. Labour’s Hilary Benn had submitted an amendment that would have rejected May's deal and ruled out a no-deal scenario. However, he pulled it after bowing to pressure from party colleagues. If the amendment had passed, it could have prevented Tuesday's vote from going ahead. Benn wrote in a Tweet: “It’s vital that we now get the clearest expression of view from the house on the government’s deal – like many others I will vote against it – but I intend to pursue a ‘no to no-deal’ vote at the earliest opportunity. Various other amendments included attempts seeking to impose restrictions on the backstop, to limit the financial settlement, and to extend the Article 50 negotiating period. What happens if the vote is defeated? Labour leader Jeremy Corbyn has said if the deal is voted down, the opposition will table a no-confidence motion in the government “soon” to try to trigger a general election. A cross-party group of anti-Brexit politicians has published plans to bring about a second referendum on leaving the EU — with the options being to remain in the bloc or leave under May’s deal. These options would need an extension of Article 50 — a two-year exit process — meaning the UK would stay in the EU beyond 29 March. Such a move would need the approval of the EU27 countries. Various other attempts have or are being made in parliament to try to head off a “no deal” Brexit. They have in common a drive to limit the government’s powers – should it pursue a path towards leaving the EU without an agreement — and transfer them to parliament. An amendment to the Finance Bill limits the Treasury’s ability to prepare for a no-deal unless authorised by parliament. Following an amendment tabled last week by former Attorney General Dominic Grieve, if Tuesday’s vote is lost the prime minister has three working days to come up with a plan B. The Conservative MP Nick Boles and two other leading Tories have proposed a mechanism giving the government three more weeks to pass a compromise deal. If that fails, it effectively takes control of the Brexit process out of the government’s hands and into those of an umbrella Commons committee, should the vote be defeated. This committee could draw up its own compromise deal, and if this was passed in parliament the government would be legally required to implement it. The proposal has brought accusations from Brexit supporters that “remainers” are plotting an anti-government “coup”, which he denies. Boles’ own preference is for a Norway-style Brexit option. This would involve staying in the single market via the European Economic Area (EEA) and joining the European Free Trade Association (EFTA). The UK would also have a customs union with the EU, which has been labelled “Norway Plus”. Boles says it’s all about trade and compares the arrangement to the common market the UK originally joined in 1973. The accord, due to be voted on by the 650-seat chamber on Tuesday, settles Britain’s obligations to the EU and envisages close future economic and other ties, establishing a transition period to avoid a “cliff-edge” Brexit where existing legal arrangements would be severed overnight. What is in Theresa May's deal and why is it so unpopular? Read more on no-deal here in terms of how it will affect citizens rights.